Doris' Red Spaces is, in large part, a book of yearnings—the spoken, the nearly spoken, the never spoken. The voices that reside in these pages are, at once, believable and fantastic, which is exactly what, I think, we want from poetry: to be re-familiarized with what life is but simultaneously given the chance to feel ourselves untethered, unhinged, re-conceived for a moment in the good light of savored language. 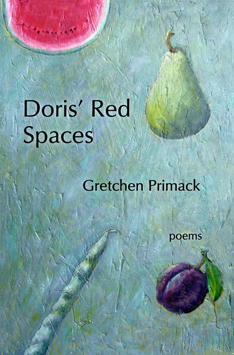 Gretchen Primack's new poems are a banquet for the hungry soul. When economy of expression combines with imaginative freedom and sheer high spirits, we get poems that surprise, delight, and transport us. That's how it is with Gretchen Primack's new book, Doris' Red Spaces. In poem after poem, she writes to a high standard of excellence, revelation, and dazzling insight. These charged, intelligent, often unsettling poems don't yield an inch to the myths we've trusted to describe a woman's experience. With fierce honesty, Gretchen Primack resists and refuses all that we take for granted––questioning even the life-force itself. 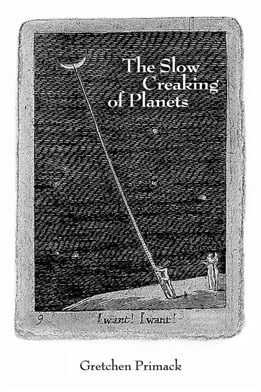 And in a delicious paradox, this book, remarkable for its austere vision, revels in mouth-music and the unexpected liberation of song. "Jonathan Safran Foer meets Jeffrey Moussaieff Mason in a poignant, provocative memoir of survival, compassion, and awakening to the reality of our food system. Jenny Brown was just ten years old when she lost a leg to bone cancer. Throughout the ordeal, her constant companion was a cat named Boogie. Years later, she would make the connection between her feline friend and the farm animals she ate, acknowledging that most of America's domesticated animals live on industrialized farms, and are viewed as mere production units. Raised in a conservative Southern Baptist family in Kentucky, Brown had been taught to avoid asking questions. But she found her calling and the courage to speak out. She left a flourishing career as a film and television producer after going undercover and exposing horrific animal abuse in Texas stockyards. 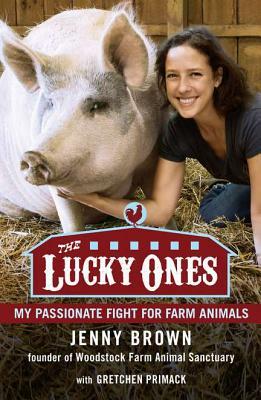 Bringing to life this exhilarating transformation, The Lucky Ones introduces readers to Brown's crowning achievement, the renowned Woodstock Farm Animal Sanctuary she established with her husband in 2004. With a cast of unforgettable survivors, including a fugitive slaughterhouse cow named Kayli; Albie, the three-legged goat; and Quincy, an Easter duckling found abandoned in New York City, The Lucky Ones reveals shocking statistics about the prevalence of animal abuse throughout America's agribusinesses. Blending wry humor with unflinching honesty, Brown brings a compelling new voice to the healthy-living movement—and to the vulnerable, voiceless creatures among us." Gretchen Primack's magnetic alter egos, her torrid imagination and unique lexical range, her perfect ear for the spoken voice, and her violently tender human empathy all conspire to create poems that are absorbing both moment by moment and in the long aftermath of remembrance and reflection. She never fails to surprise and exhilarate us. Like the memories of Gretchen Primack's alter ego, Doris, Primack gives the reader something to hold onto and ponder again and again. These poems are rich and powerful, and filled with magic.